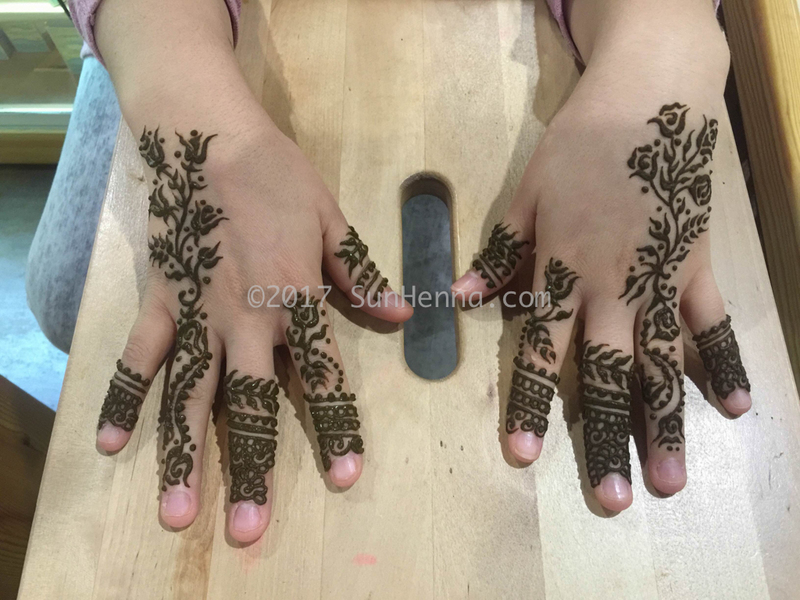 Sun Henna Kits include all the necessary tools and more to mix your very own henna paste. 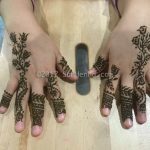 With detailed instructions, it is as easy as 1-2-3. 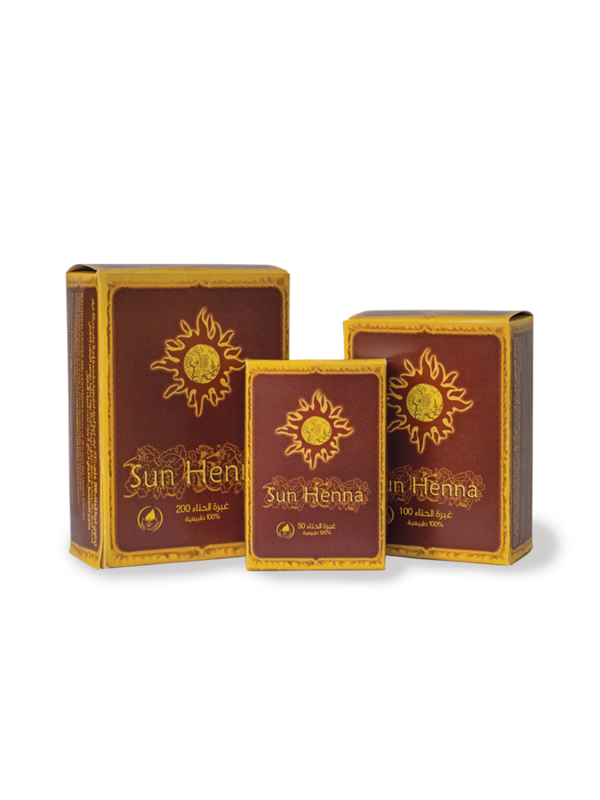 Sun Henna Kits come pre-measured for each usage. 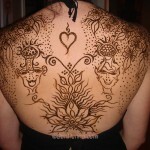 Here are a few sizes to choose from. 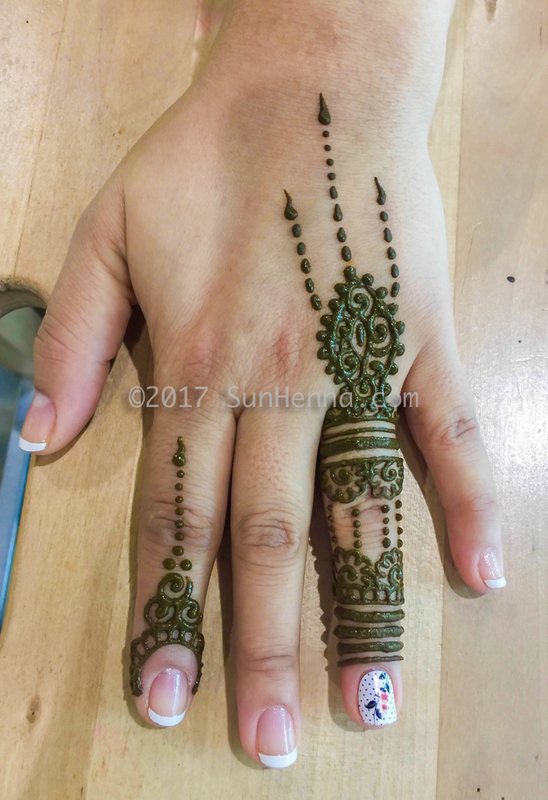 Sun Henna Kits are always favored because they have the right measurements in henna powder and eucalyptus oil for each use. 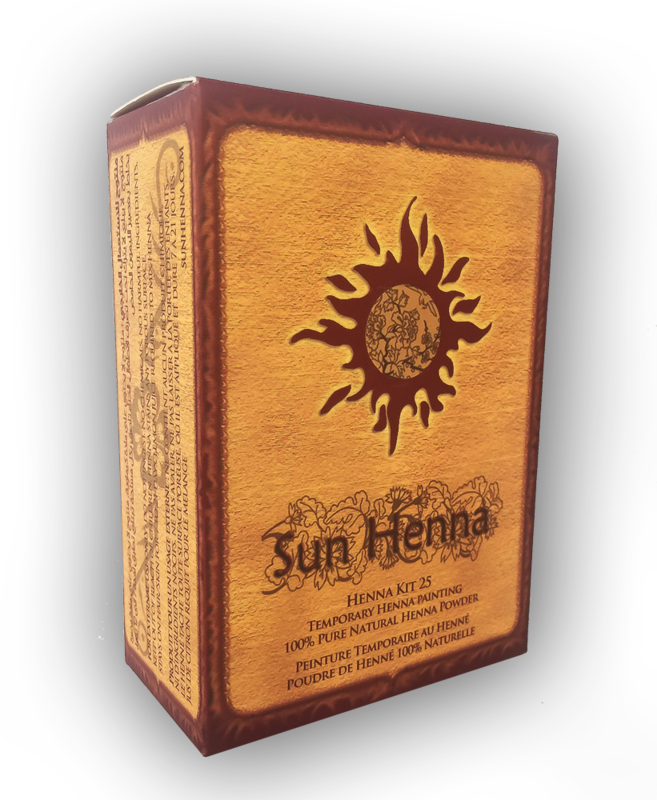 Sun Henna Kit 25 is a very useful, complete beginner henna kit. 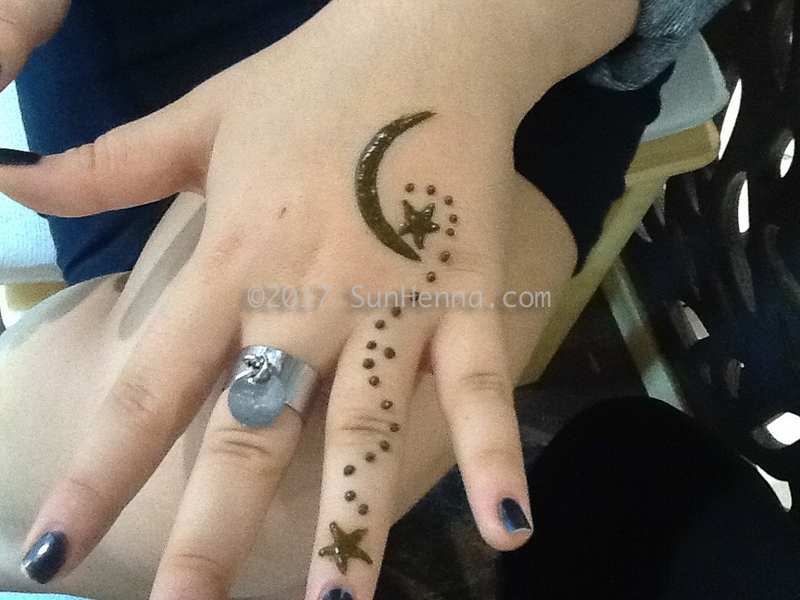 $24.99 contains 1 Sun Henna Powder Pouch 25g, 2 Stencils, 1 Eucalyptus Oil Vial, 3 MetalTips with a “screening” Applicator 30ml, and 16-page Sun Henna Booklet that includes Mixing Instructions (recipe + Best Results Info), After-Care Directions (how to care for your henna tattoo) & 12 Sample Designs. 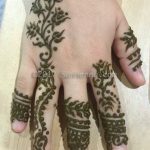 Can do up to 40+ small designs. 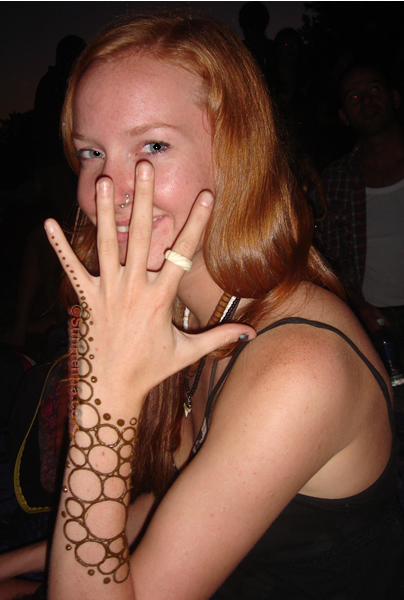 Henna can be used on hair, skin, leather, cloth, wood & any porous surface it is applied to. 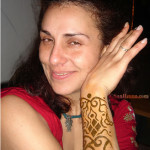 Stains in shades of Brown to Red. 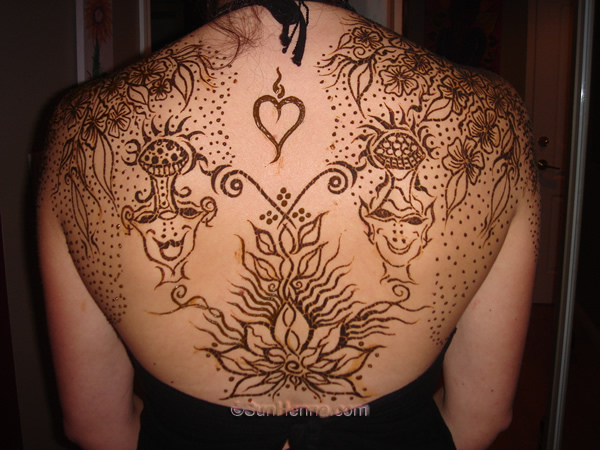 Requires lemon juice, sugar & mixing. 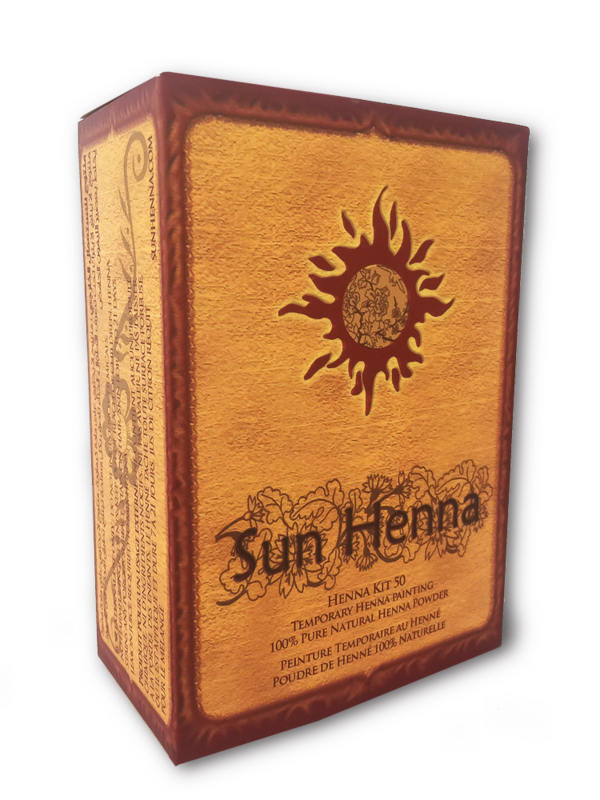 Sun Henna Kit 50, a wonderful, practical complete henna kit for the beginner to the novice. 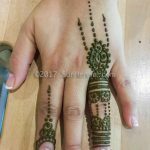 $44.99contains 2 Sun Henna Powder Pouches 25g each, 2 Stencils, 1 Eucalyptus Oil Vial, All 6 MetalTips “screening” Applicators 30 & 60ml, and 1 Sun Henna Manual: 16-page Booklet on How-To including Mixing Instructions (recipe+Best Results Info), over 25 Sample Designs & After-Care Directions (how to care for your henna tattoo) Can do up to 40+ small designs. 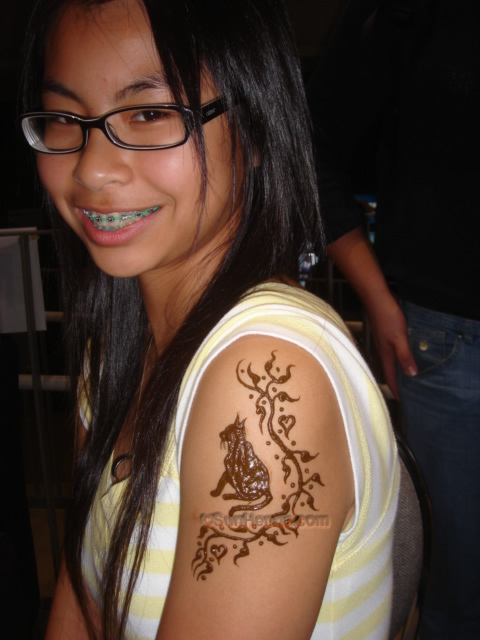 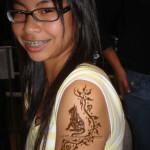 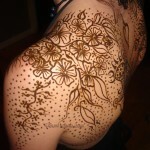 Henna can be used on hair, skin, nails, leather, cloth, wood & any porous surface it is applied to. 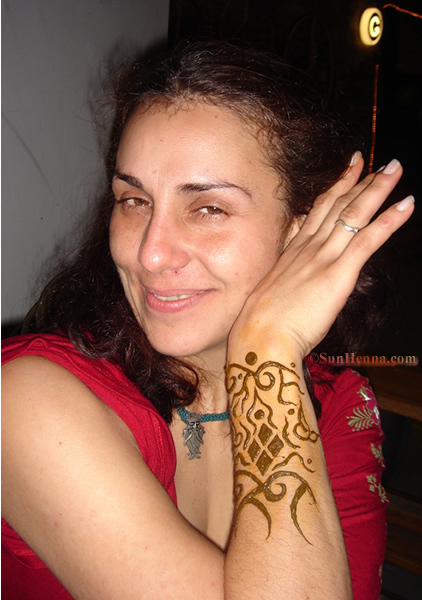 Stains in shades of red to brown. 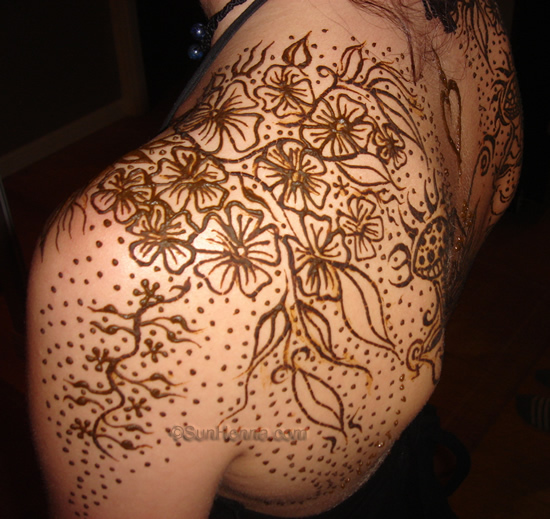 Requires lemon juice & mixing. 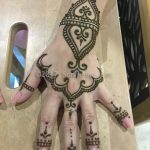 This starter kit contains 2 Sun Henna powder pouches 5g each in mixing bags, 2 stencils, 1 Eucalyptus Oil vial, 2 plastic cones (carrot bags), 2-page Mixing Instructions (recipe + Best Results Info) & After-Care Directions (how to care for your henna tattoo). 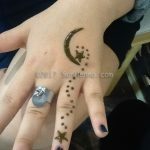 Requires lemon juice, sugar & mixing. 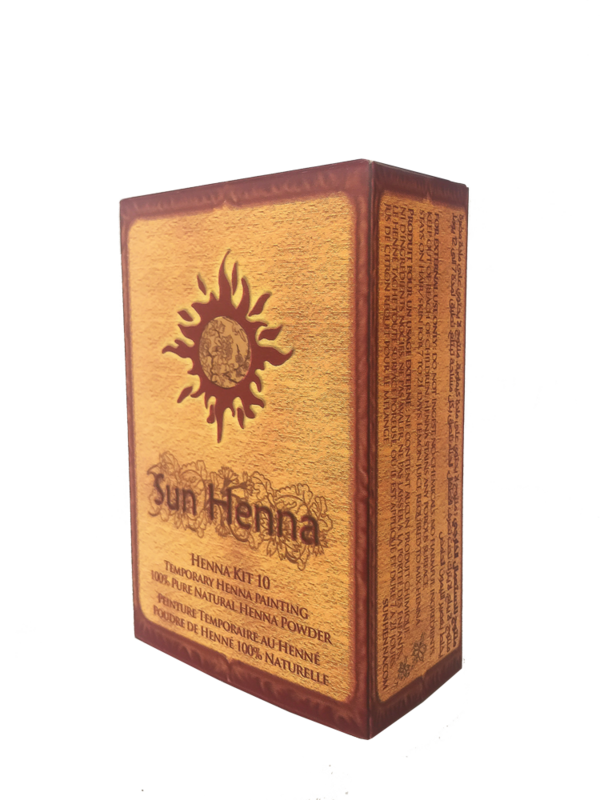 See our Sun Henna Powder Refill Packs if you already have a Sun Henna Kit and/or Applicator Bottle. 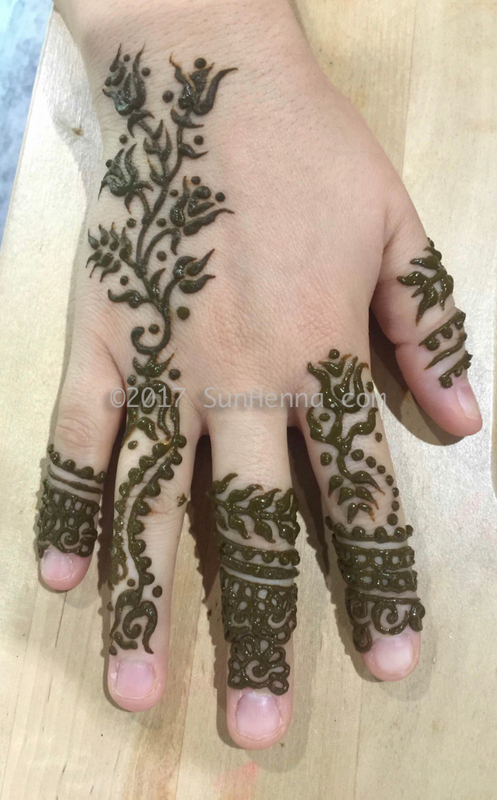 Buy Sun Henna Powder here.